Lantern, Flashlight, Emergency Light All-in-one With adjustable flashlight lighting and a high-visibility red emergency S.O.S. 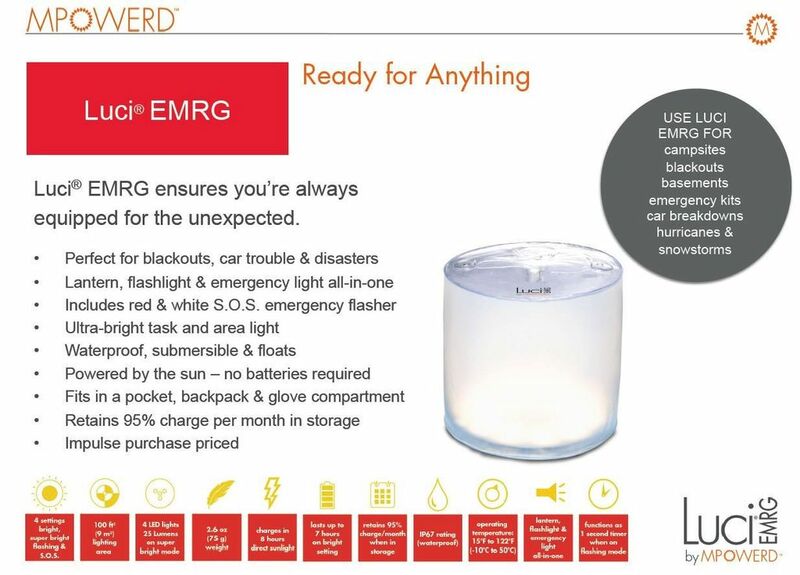 flasher, Luci EMRG prepares you for everything that might come your way, from hurricanes and tornadoes to power outages and camping trips. 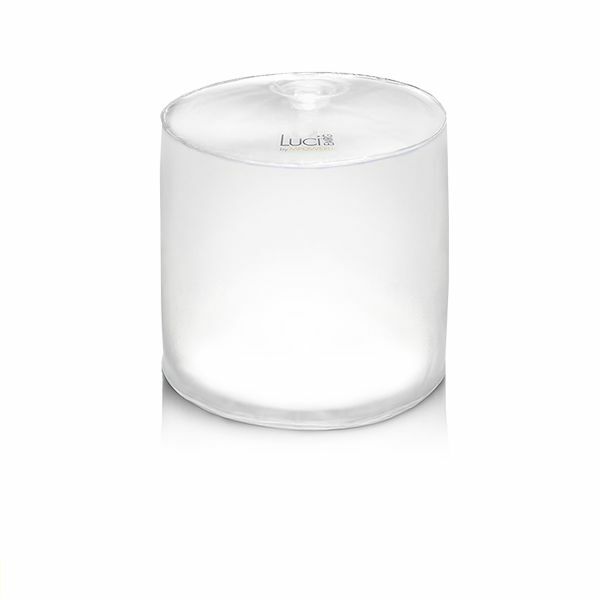 Especially compact (weighs 2.5 ounces), the Luci EMRG fits easily into any drawer, pocket, glove box or toolbox. 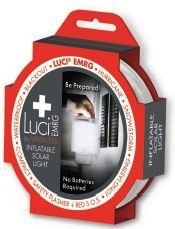 Luci EMRG Features: 4 Settings: Bright, Super Bright, Flashing & S.O.S Functions as 1 Second Timer on Flashing Mode Lightweight & Durable Compact & Sustainable Waterproof & Shatterproof Rechargeable Battery Included 1 Year Warranty Lasts Up to 10 Years!